(Nanowerk News) Mother-of-pearl, the iridescent layer in the shells of some mollusks, inspired a Rice University study that will help scientists and engineers judge the ultimate strength, stiffness and toughness of composite materials for anything from nanoscale electronics to buildings. They said their computer-drawn maps are “dimensionless” and their findings will work as well for materials built with nanoscale blocks as they would for a brick wall, or bigger. “That’s the beauty of this approach: It can scale to something very large or very small,” said Shahsavari, an assistant professor of civil and environmental engineering and of materials science and engineering. The research appears this week in Nature Communications ("Universal Composition-Structure-Property Map for Natural and Biomimetic Platelet-matrix Composites and Stacked Heterostructures"). 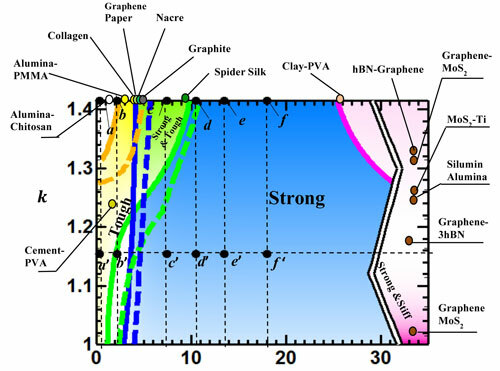 The researchers’ design maps show how materials rate in all three categories and where they overlap. Their goal is to help engineers calculate the ultimate qualities of a material and cut down on trial and error. “It has a very particular structure and property: It optimizes different mechanical properties at the same time.” Sakhavand said. 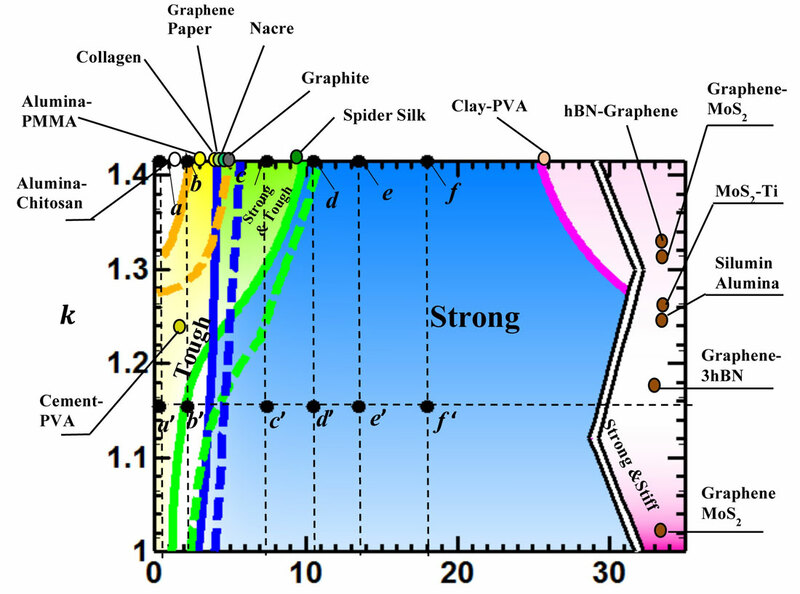 However, engineering nacre-like composites has been difficult so far, “mainly because of the lack of a design map that can reveal the various links between the structure, materials and properties of nacre-like materials,” Shahsavari said. He said the work is an important milestone toward a better ability to decode and replicate nacre’s architecture for lightweight, high-performance composites. These could benefit the aerospace, auto and construction industries, he said. The Rice researchers’ work spanned three years of calculation and experimentation that involved mapping the properties of natural composites like collagen and spider silk as well as synthetic stacks like hexagonal boron-nitride/graphene and silumin/alumina. They also tested their theory on macro-scale, 3-D printed composites of hard plastic and soft rubber that mimicked the properties they observed in nacre.